About - Pieces of a Dream, Inc.
…that dance is intrinsically essential to human development. …that difficult topics can be addressed through dance, and the community is made better as a result of the discussion. …that dance professionals need proper support to learn, create, and perform with excellence. …in supporting professional and burgeoning dancers and dance educators with holistic programming. …young dancers deserve the opportunity to work in a professional environment. Pieces of a Dream, Inc. is a Delaware-based modern dance company dedicated to the development of artists and the presentation of original, non-traditional works. We explore contemporary societal issues through the medium of dance to engage the community and provide opportunities for discussion and education. We support the holistic well-being of our artists by fostering creativity as well as education in pertinent life issues such as financial literacy, collaboration and healthy relationships. 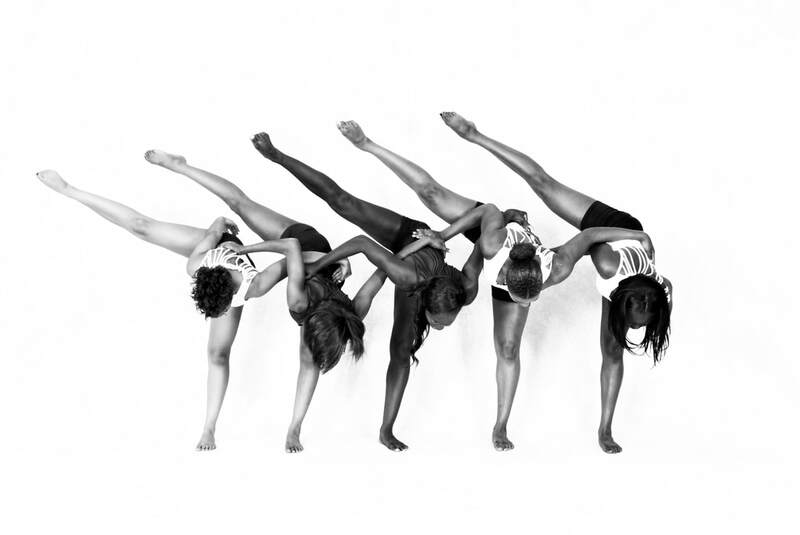 We envision a future where Pieces of a Dream, Inc. is home to Delaware’s premiere dance company. Generations of emerging and established artists compete for the opportunity to train, perform, and produce under Pieces of a Dream’s umbrella. Our work is integral to the civic and cultural life of Delaware and the surrounding areas, and our region is robust with thriving dancers and choreographers who are attracted to the wellness programming we have created for art professionals. Pieces of a Dream’s educational workshops are sought after by schools and universities from all along the East Coast. Organizations specializing in training young people in the arts recognize Pieces of a Dream as the best professional program in the Mid-Atlantic Region, and actively encourage their students’ participation. Pieces of a Dream, Inc. is a premiere organization for the performing arts and the only professional modern dance company that is based in the state of Delaware. In recognizing that all forms of art are essential to the full development of our human potential, it is the mission of Pieces of a Dream to serve the people of Delaware and the greater tri-state area by providing superior exposure to meaningful art. Founded in 2007 by Executive and Artistic Director Ashley SK Davis (formerly Ashley L. Sullivan-Kirksey), Pieces of a Dream Dance Theatre is a professional dance company that performs original modern and contemporary choreography. The company is grounded in the belief that dance is socially relevant beyond its aesthetic appeal. As such, the company’s repertoire discusses a range of topics that are specifically pertinent to modern society, like domestic violence and the historic riots that changed the emotional makeup of Wilmington, Delaware. The uniqueness of each choreographer adds variety to this modern dance-based repertorie, while simultaneously blending to create a complete vision. Keeping in tune with its focus on life beyond dance performance, Pieces of a Dream, Inc. is extremely involved in community development and the holistic personal development of its company members. Company members are not only encouraged to continue to grow artistically, but Pieces of a Dream Dance Theatre members attend workshops covering a variety of topics, including mental wellness and financial literacy. Ashley SK Davis (formally Ashley L. Sullivan-Kirksey) is a native of Wilmington, Delaware. She began her stage career at the age of 3 and is formally trained in Ballet, Modern, Tap, Jazz, Hip Hop, African dance forms, and Irish Step dancing. A graduate of Spelman College in Atlanta, Georgia, Ashley was quite involved with the arts while on campus. As a member of the Spelman College Dance Theatre and Mahogany in Motion Dance Team, Ashley studied under Nathan Trice, a regular choreographer for Alvin Ailey American Dance Theatre. In addition to the countless productions in which she performed, she also directed and choreographed for several shows including the Ms. Spelman Coronation for Spelman College and the Miss Black and Gold Pageant for Alpha Phi Alpha Fraternity, Incorporated. Ashley’s dance credits also include serving as a dancer for Usher and an assistant choreographer for Six Flags Fright Fest. In 2007, Ashley's choreography was presented as a part of the Spelman College Department of Drama and Dance 75th Anniversary Celebration, which included a new stage play by Pearl Cleage about the life of Coretta Scott King. In addition to serving as the Executive and Artistic Director of Pieces of a Dream, Inc., Ashley is also a Teaching Artist in Drama and Dance for the Delaware Institute for the Arts in Education (DIAE) and the Wolf Trap Institute, an organization dedicated to arts-infused early education. Ashley also teaches for Steppin' Out Dance Center (Oxford, PA) and First State Ballet Theatre (Wilmington, DE). Sandhya began her dance career at the age of 3 and is formally trained in Ballet, Modern, Jazz, Hip Hop, Latin ballroom, Contemporary, and stepping with “ Steppers of a Free Nation”. A recent graduate from Delaware State University’s Master’s of Social Work program, Sandhya whom we like to call…”Cindy Lou” is not new to the campus performing arts . As a member of the Kean Dance Theatre and The Well Performance Project, Sandhya studied under Louis Martinez and Dawud Jackson, members of the Latin American Dance Company and original members of Kean Dance Theatre. In addition to the countless productions in which she performed, she also has experience in directing and choreography for over 10 years. Shows ranging from varies pageants, play productions, competition team, as well as coordinating varies ceremonial events. Sandhya’s dance attributes also include performing with Jennifer Archibald of New York’s Archibald in Company, as well as New York City Knicks Dance team. Currently Sandhya teaches Hip Hop at Lantern Dance Studio in Middletown, DE. Sandhya would like to thank her family and friends for their continued support of her dance career. Check back soon for Amira's bio! Viveca Hutchinson began her dancing career 18 years ago with Simon Dancers in Philadelphia. After moving to Delaware in 2000, Viveca continued her training at Cab Calloway School of the Arts under Alyson Cohen and Eagle Dance Studio. Viveca was very involved at Cab Calloway as a member of Cab Calloway's dance company and the musical theater company. During her tenure there, she starred in The Chorus Line, Little Shop of Horrors, and Closer Than Ever, all under the direction of Mary Eldreth. Viveca's dance training also includes studies at Philadanco in Philadelphia, the Tremaine Dance Company in New York, and other various dance workshops throughout the East Coast. In 2006 Viveca competed in Omega Psi Phi Fraternity’s Talent Hunt and won 1st Place Overall. In June 2009, Viveca performed at the City of Wilmington’s Clifford Brown Jazz Festival at the Grand Opera House. Viveca has taught dance camp at Delaware Technical Community College in Wilmington Delaware in the summer of 2011 and 2012. Viveca has her certification in Early Childhood Education, receiving her TECI 1 and TECI 2. Currently, Viveca teaches dance at Steppin’ Out Dance Center (Oxford, PA) , Dance Unlimited (Middletown, DE), and Delaware Arts Conservatory (Newark, DE). She is also the choreographer and director for the Anointed Praise Dance Ministry. Viveca thanks her mom and grandmother for being her number one support. She is also thankful for her family, and friends for always being there. Ron Jones is a resident of New Castle, Delaware. He first began his training here in Delaware at the Crystal Danceport where he studied American Ballroom Dancing at the age of 12. Ron has been a musical theater performer since age 15 when he made his debut in Once on this Island at the Penn Players Theater. He then went on to perform with Delaware All-State Theater(DAST) as a lead in the 2010 musical Ragtime as Coalhouse Walker, Jr., at the DuPont Theater. He continues to performing with DAST presently. Ron moved to New York where he began taking classes at Alvin Ailey, Broadway Dance Center, and Steps, Where he studied Ballet, Tap, Jazz, Lyrical, and Contemporary disciplines of dance. He also attended The American Musical & Dramatic Academy (AMDA) where he majored in Musical Theater with a strong minor in Dance. Ron has had voice and acting training from Broadway's Natalie Weiss, Casey Colgan, Teri Ralston, Kyle Gonyea, and many more. Jasmine Norwood has been dancing since she was 4 years old. She is currently attending Stockton University in New Jersey where she is part of the Stockton Dance Team and Dance Company. She is majoring in Business Management and minor in Dance. Her dream is to own her own dance studio one day. She loves to dance and wants to teach, inspire and have a positive influence to those students who have a desire to dance. She has performed in many shows and competition over the years. She was a member of Stage Lights Dance Team in Newark, DE. She has been dancing with Pieces of a Dream Dance Company for two years. Jasmine has performed in many competitions for NDS, StarPower, Headliners, Starbound, Ticket to Broadway and NEXSTAR. In addition, she has performed for Philadelphia and Wilmington Fringe, as well as Bruce Productions in Delaware. Jasmine has received various awards and special judges’ awards. Check back soon for Dominique's bio! Pamela Oppenheimer has danced since age 6 studying ballet, tap, jazz, hip hop, musical theatre, modern, & Latin dance styles. She graduated from the Univ. of Delaware in 2013 with a Bachelor of Music in Music Education and a Minor in Dance. While at UD, Pam frequently performed for the Dance Minor Department and Nova Modern Dance Company, and acted as head staff member/volunteer teacher for Indigenous Pitch Dance Collective and Jamaica Field Service Project, providing free dance and music programs to children in New Orleans and rural Jamaica. For four years Pam worked with Delaware Dance Company, teaching tap, hip hop, and musical theatre. Pam is currently in her 5th year at ASPIRA Academy in Newark, DE as a K-8 choir/dance/drama/general music teacher and musical theatre co-director/choreographer. She is also the Caravel Academy high school director of their Elite and Women's Choirs in Bear, DE. 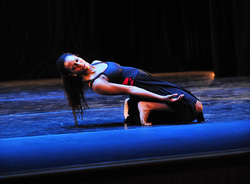 Natasha Palazzolo developed her love for dance and the arts at the age of 14. She has training in ballet, modern, jazz, tap, acrobatics, and hip hop dance styles. Natasha is a dance instructor at Pieces of a Dream Academy of Dance. Check back soon for Ikira's bio! Cailah Preston began her dance training at age three at Danceworks Dance Studio. There she studied ballet, tap, jazz, modern, lyrical, contemporary and hip hop. Cailah is a graduate of Wilmington University and is currently working towards her Master’s in Special Education. This is Cailah’s third season with Pieces of a Dream, Inc. Cailah would like to thank her family for always supporting her dream and passion for dance. Amber Rance is a student at the University of Delaware. A graduate of the Pieces of a Dream Academy of Dance, Amber is continuing her dance training on campus, as a member of Dark Arts Dance Company. In January 2017, Amber traveled to Johannesburg and Cape Town, South Africa to perform with the multidisciplinary project Same Story Different Countries , which looks at the shared racial experience in South Africa and the United States. This summer, she will be dancing in Australia with the production Women of Consequence. This is Amber’s second year performing with Pieces of a Dream Dance Theatre. Adiah Simpson is 22 years old and has been dancing since the age of five, when she first experienced the excitement of being on stage. Growing up she attended various dance studios, such as Diamond State Dancers, Christina Cultural Arts Center, Danceworks Dance Studio. She also attended Cab Calloway School of the Arts as a dance major in middle school. She graduated from St. Georges Technical High School as an Early Childhood major in 2010. Adiah was a founding member of Pieces of a Dream, Inc. P*D2 in 2008, and this is her third year performing in the Pieces of a Dream, Inc. adult company. Adiah is happy to share her passion for dance. She loves dance as a career and does not plan on stopping anytime soon. ​Pieces of a Dream, Inc. also has a second company, P*D2, which is composed of students in middle school and high school. These students are selected based on their technical abilities and performance experience. P*D2 is geared toward young artists who wish to enhance their current dance training by working with other dancers outside the walls of a traditional dance school. Similar to the first company, P*D2 performs extensively in the community and also participates in the Pieces of a Dream, Inc. annual concert. Furthermore, they are invited to develop their creative abilities by choreographing their own dance works. Understanding that young ladies have specific emotional needs and life concerns, members of P*D2 also participate in skills development programs, such as college-planning and financial literacy seminars.